For patients with astigmatism, a Toric lens is the best option available for an IOL. During cataract surgery, the cloudy natural lens (cataract) is replaced with an intraocular lens (IOL). As cataract surgery has become more advanced, the IOLs used have evolved as well. 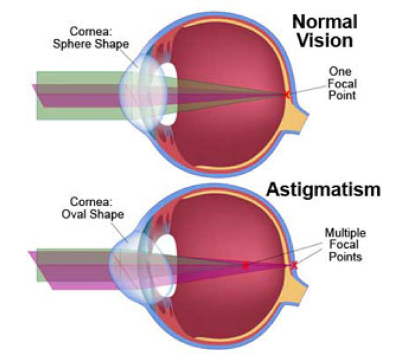 Astigmatism is a condition where the cornea is shaped more like a football than a basketball. This can make the vision distorted at all distances without glasses. 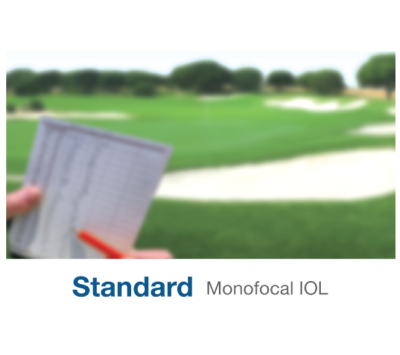 Standard intraocular lenses (IOLs) do not correct astigmatism. Bifocal glasses will still be required after cataract surgery with a standard IOL if significant astigmatism is present to provide the clearest vision postoperatively. Before your cataract surgery, the expert staff at Kozlow Eye will evaluate your astigmatism using a specialized device called a corneal topographer. 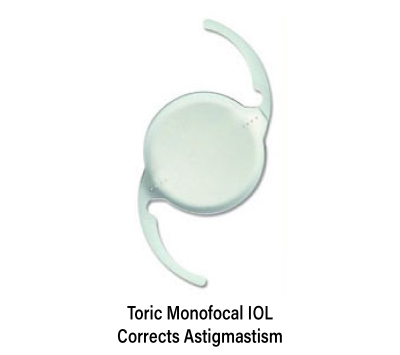 If astigmatism is present, a toric implant may be recommended. The AcrySof® Toric IOL corrects the astigmatism in the eye, which makes the image quality after cataract surgery sharp and crisp without distance glasses. Readers are still required for near tasks. Dr. Kozlow understands that every patient has unique visual needs. Being attentive to these needs coupled with thorough patient evaluation has allowed Dr. Kozlow to implant hundreds of toric implants with outstanding results. Toric Lenses are typically covered only partially by insurance, while the rest is paid out of pocket by the patient.